All states permit a court to award alimony, but there is no specific equation or method for calculating the amount. Instead, the decision about whether to award spousal support depends on the types of alimony allowed in the state and the circumstances of the marriage. Calculating the amount of payments and length of time they will last. All states alimony statutes are gender neutral. The only requirement for an alimony request is that the requesting spouse needs financial assistance. To determine financial need, the court compares the requesting spouse's cost of living to his or her income, if any. If the requesting spouse's income is insufficient to support his or her daily living expenses, the court calculates the amount of deficiency. That deficiency is the spouse's "need." Daily living expenses must be reasonable, and to some extent, necessary. Most courts require proof of need through receipts or bills. Courts will not automatically assign the total amount of need as alimony but may instead divide it between the parties in the interest of fairness. The court ensures that the non-requesting spouse is able to pay alimony. To determine this, the court subtracts the non-requesting spouse's cost of living and other regular expenses from his or her income. Any income remaining after this subtraction is considered disposable and able to be dedicated to alimony. A spouse with no remaining income will not be required to pay alimony. Any non-monetary contributions to the marriage, such as caring for the marital home or children. The difference in what a court may consider when determining alimony payments is what causes them to vary in amount. For example, one judge considering the conduct of the parties may decide that one spouse's adultery caused the demise of the marriage and that the other spouse is entitled to a large alimony award. In contrast, another one may determine that the spouse's adultery does not affect the amount of alimony. Regardless, most courts want to award an amount of alimony that permits both parties to continue the lifestyle they had during the marriage. Therefore, it is unlikely that an award will significantly penalize or reward one party over the other. This calculation, however, is entirely up to the court's discretion. As such, it can only be influenced by evidence of need and the ability to pay. 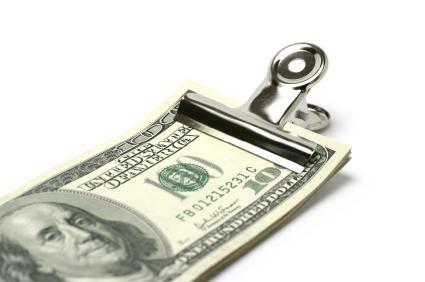 Alimony payments can be made periodically or in a lump sum. Periodic payments are usually made monthly, but can also be made quarterly or yearly. Courts consider the frequency of the need and how often the paying spouse receives income when determining payment dates. The amount of alimony you receive is determined by the circumstances of your marriage. To calculate an estimated amount of alimony you may receive, determine the amount of living expenses that your salary fails to cover. However, remember that a court's first concern is fairness.